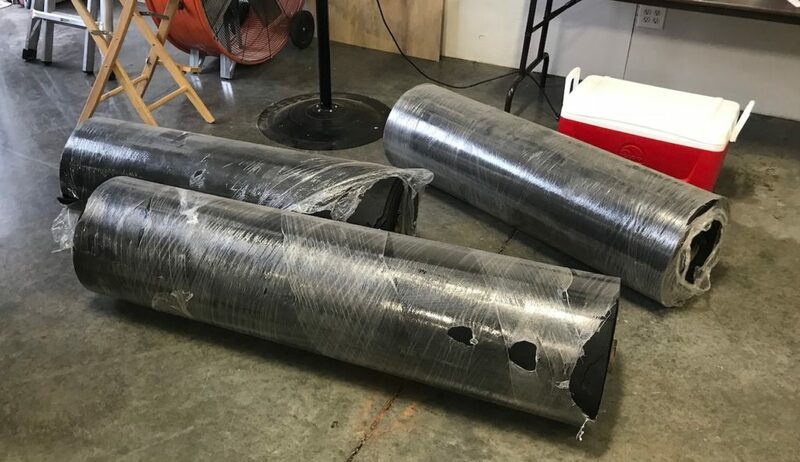 Today Axanar Director of Security Dale Simpson and I took a trip up to Dahlonega, about 90 minutes away from the studio to pick up the rubber matting we have chosen for the bridge. This isn’t our first choice for what we want to use, but it is the least expensive, easiest to put down, and best for moving the bridge around and not having to worry about carpet. 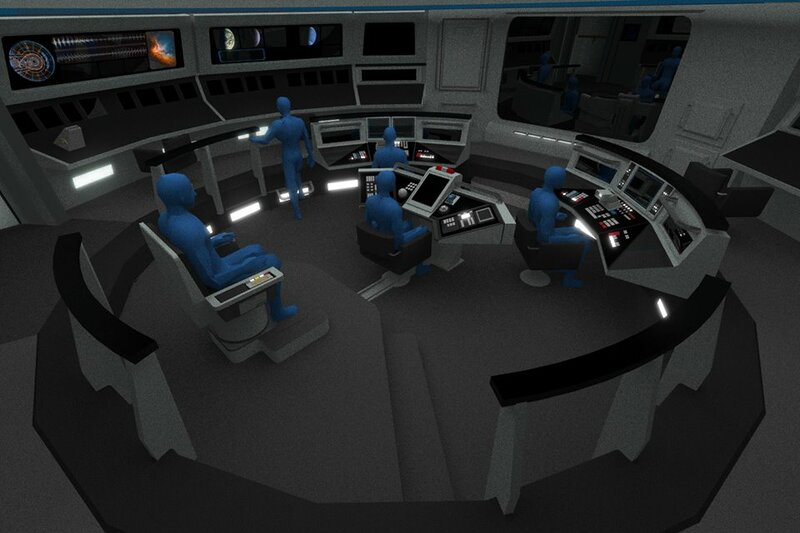 Now although the Ares bridge is darker than a TOS bridge (Think the Red October vs the USS Dallas in The Hunt for Red October) black is a bit too dark and so we will be looking for ways to lighten it up. Here is one of Eric Henry’s concepts for the bridge. The floor is a dark grey here, much darker than a TOS bridge. 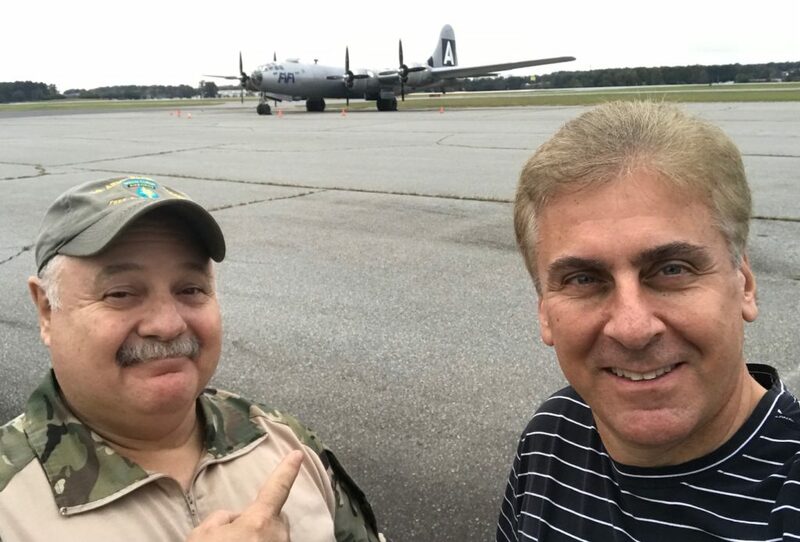 Meanwhile when we were almost back to the studio, Dale and I noticed a B-29 at Lawrenceville airport! 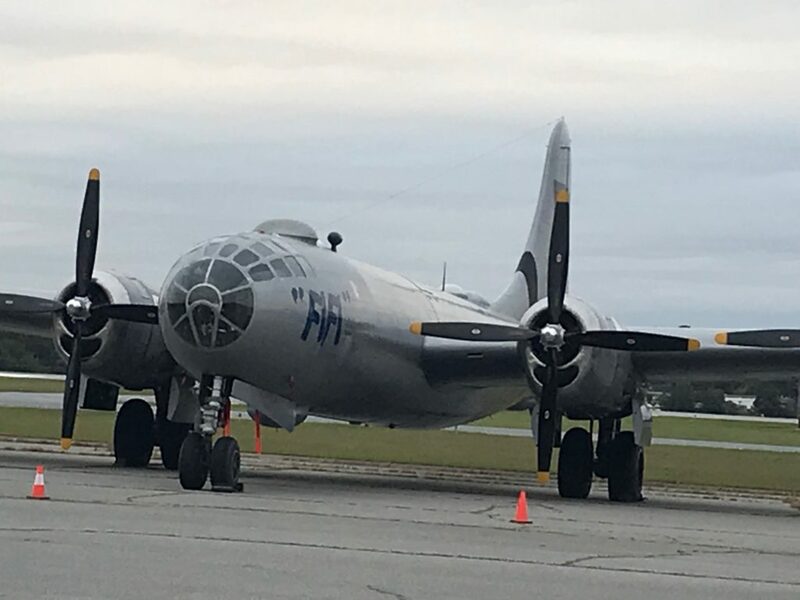 Now that is a rare site since there are only TWO flying B-29s in the world. This was Fifi, of the Confederate Air Force and it is in town for an air show. Dale and I pose with FiFi. So that was Friday for us! Alec I work @ Lockheed Martin in Ft.Worth Texas and I know one of FiFi’s pilots a great guy and has told me many a story of flying her. He also fly’s Diamond Lil a B24 Liberator and has showed me videos of being behind the controls flying both airplanes. Man such a small world! WOW! Very cool! Thanks for sharing!